Guangdong Car House Industrial Development Holdings Co., Ltd. was established in 2002. Carori is committed to being a leading supplier of high-quality car perfumes. In 2007, we entered the China market and received a very positive response due to our product’s high quality and innovative designs.Carori car perfume which under Car House group have become the the leading brand of car air freshener in China. Not only is Carori a manufacturer, marketer, & wholesaler of car perfumes, but also provides car accessory & car perfume private label (OEM) & ODM product services for Japan，America，Russia，Korea, and a growing number of other countries. 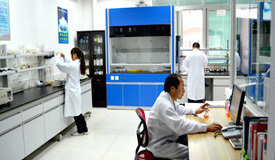 As a professional fragrance manufacturer, Carori has an experienced research & development (R&D) team that helps provide the best car perfume technology to customers. 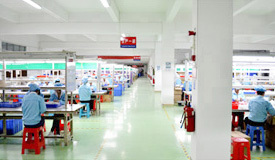 Carori is also continuously improving product quality and customer service. The prestigious ISO9002 and ISO14001 certifications are proof of our commitment to continuous improvement. Currently our products are sold all over the world and have become a first choice for many car owners. In addition to providing quality products and services, Carori also wants to gain the trust of clients and communities around the globe. While maintaining rapidly growing development, Carori has not only done the best to create a great and harmonious working environment for employees, but has also actively devoted its efforts to public welfare projects as well. Carori will always donate to public welfare & promote a high quality of life in every way possible. And in hopes of creating both a high-quality & healthy company, Carori sees protecting the environment as our main priority & an obligation.